Happy child in santa claus hat on the beach. 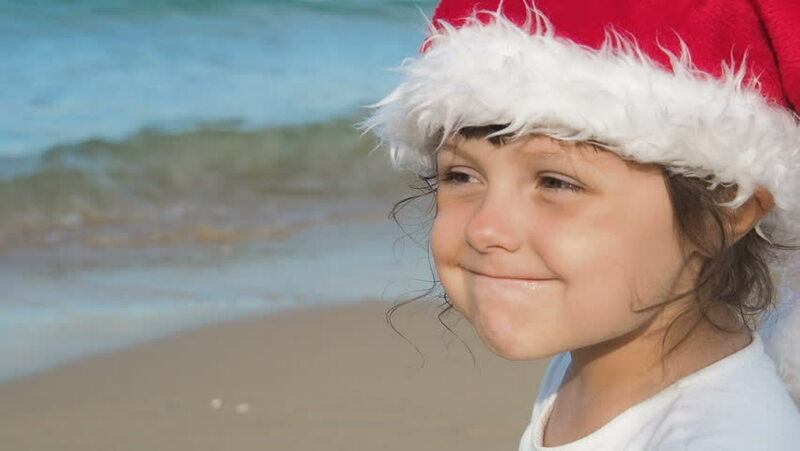 hd00:15Charming child in Santa Claus hat on the beach. hd00:10Christmas on vacation. Beautiful little girl in santa claus hat on the beach. Portrait of a child in a Santa Claus hat. 4k00:09Close up portrait of young tourist woman smiling and waving with straw hat on beautiful beach in Thailand south east Asia. Slow Motion hand held. hd00:28A young woman in a warm winter hat with earflaps looks at the falling snow. Close-up, slow motion. Siberian frosts and warm clothes in winter.